The Rio Grande is one of the longest rivers in North America, running a total of 1,900 miles from the headwaters in the Colorado Rockies to the Gulf of Mexico in Brownsville, TX. The river faces many challenges. Over the years, dams and irrigation have severely depleted the river’s flow, causing some sections to run dry during drought conditions. Pollutants from agricultural lands and city streets, carried by stormwater runoff, have damaged water quality, directly impacting trout and other aquatic species. According to the New Mexico Environment Department, the middle Rio Grande is impaired by bacteria, dissolved oxygen, and PCBs. Despite these problems, the Rio Grande remains one of the richest wildlife habitats in the Western U.S., while providing recreational opportunities and drinking water to human communities along its banks, including Albuquerque, NM and El Paso, TX. 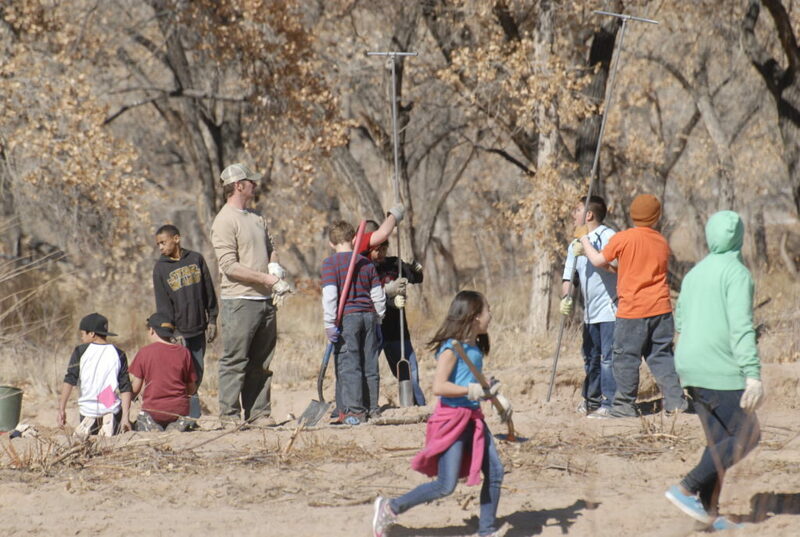 Students from area schools plant trees in the bosque along the banks of the Rio Grande River. Photo provided by CSWCD. 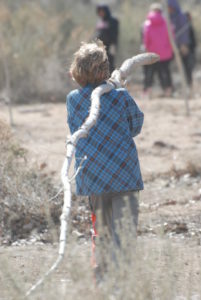 In order to support the health of the Rio Grande and the the riparian forest along it (known locally as the bosque), public knowledge and engagement in water issues will need to increase. 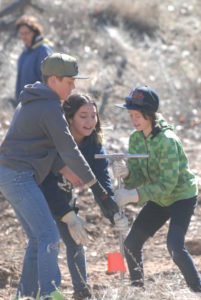 Ciudad Soil and Water Conservation District (CSWCD) in Albuquerque, NM, has found that an interdisciplinary approach to teaching about water quality and water conservation better encouraged students to understand major critical water resources issues and to apply the knowledge to their own lives. 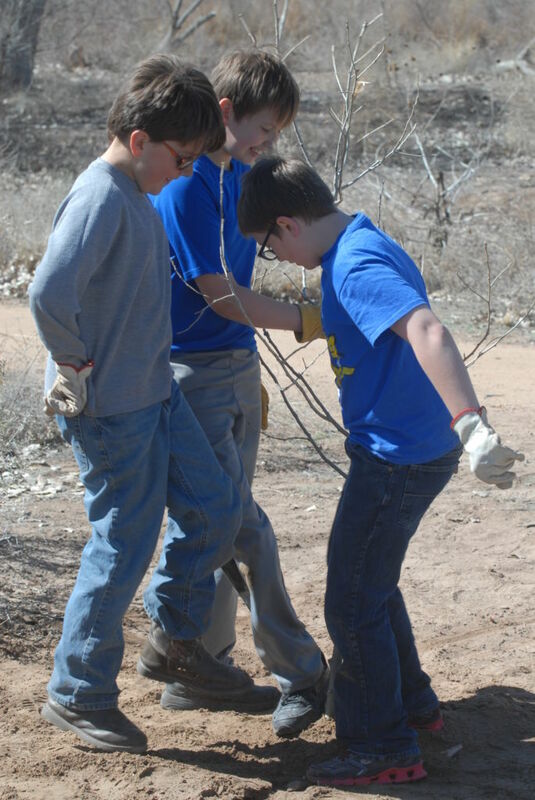 In 2012, CSWCD received an EPA Urban Waters Small Grant to implement a program called “Community-Based Stormwater Quality Outreach and Education in the Middle Rio Grande Region.” CSWCD, a political district within the state, coordinated a partnership with RiverXchange and Querencia Green, two entities based in New Mexico. The year-long RiverXchange curriculum facilitated web-based class partnerships, encouraging fifth graders in the Albuquerque and Rio Rancho area of New Mexico to connect with other students around the world by blogging and exchanging comments on a safe, private web platform. Querencia Green added hands-on neighborhood workshops to the program, including walking tours of green infrastructure projects and a mapping exercise. CSWCD enhanced the RiverXchange program by providing technical support and resources, providing experts as guest speakers, coordinating field trips, and measuring the impact of the program on individual student and family behaviors. RiverXchange—a school-based program that supports and supplements Common Core and 21st Century Standards—is designed to introduce water resources concepts to young people using a variety of fun methods that integrate writing, math, science, and physical activity. 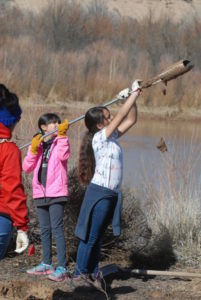 By interacting with models, reading relevant texts, learning from experts, and going on field trips, students learn about watersheds, river ecosystems, and the importance of water conservation. They also learn how to monitor water quality and calculate their own ecological footprints, then internalize these concepts by writing about them in their own words. The electronic pen-pals component is what makes this program different. 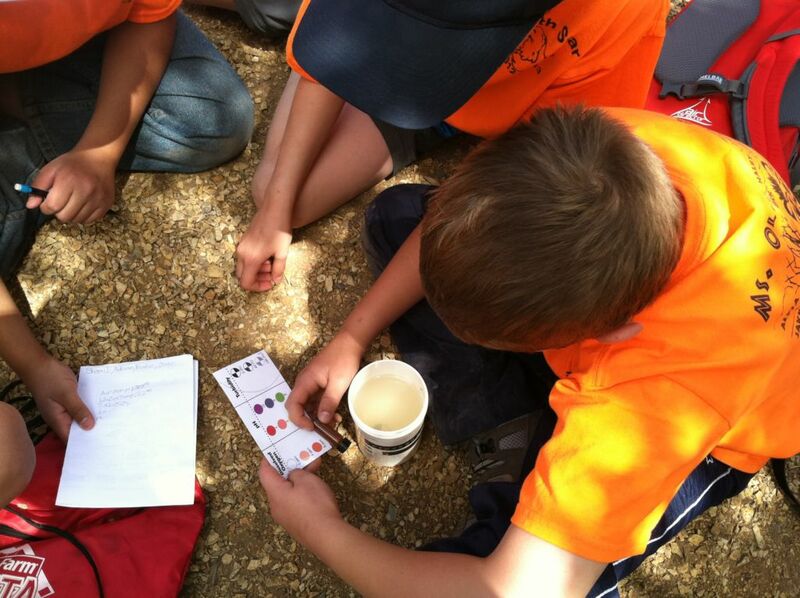 It goes beyond the traditional classroom curriculum and creates a fun way for kids to learn about local and global water issues. Students write blog entries and become electronic pen-pals with partner classrooms in other states and countries. Creating posts about what they are learning helps the students to internalize and retain important concepts. Pre- and post-program surveys gauge how students gain knowledge as well as how they change individual behaviors around water use. Even though the program is exclusively funded and housed in New Mexico, partner classrooms still participate because of the benefits students experience from sharing with their peers around the world. Students performed hands-on activities, then wrote blog entries about their experiences and became pen-pals with students around the world. Photos provided by CSWCD. 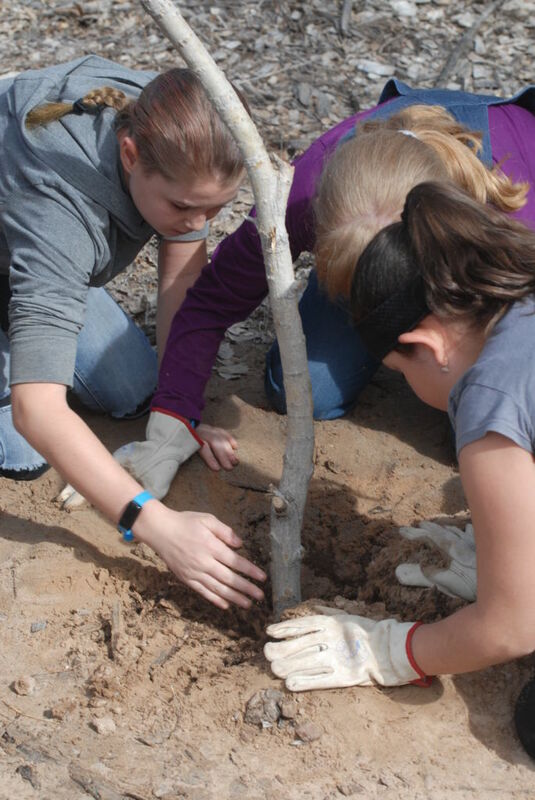 In 2015, CSWCD became the coordinator and manager of the RiverXchange program. According to Steve Glass, Chair of CSWCD, the organization was able to leverage the Urban Waters Small Grant to gain additional support and resources, including funding from the City of Albuquerque. Today, RiverXchange has expanded to include forty-five local classrooms, up to sixty-three out-of-state classrooms, and students in various countries including Cambodia, Ecuador, Israel, Nepal, and Rwanda. Teachers around the world have recognized the power of RiverXchange and the impact it can have on the students. The program reaches over a thousand students in New Mexico, over half of which attend schools with high percentages of low-income students in the cities of Albuquerque, Rio Rancho, and Bernalillo. Teaching young New Mexican students about water will help to restore the Rio Grande River by creating a new generation of environmental stewards. 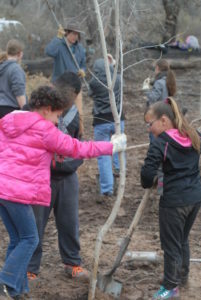 Students of the RiverXchange program gain exposure to science, technology, and environmental careers by interacting with professional guest speakers. Surveys show that after learning about water issues, students and their families dramatically change their individual behaviors, consuming less water and reducing household pollution. Students also gain a global perspective, sharing with and learning from peers around the world. Mid Rio Grande Stormwater Quality Team: RiverXchange Reports by Year. 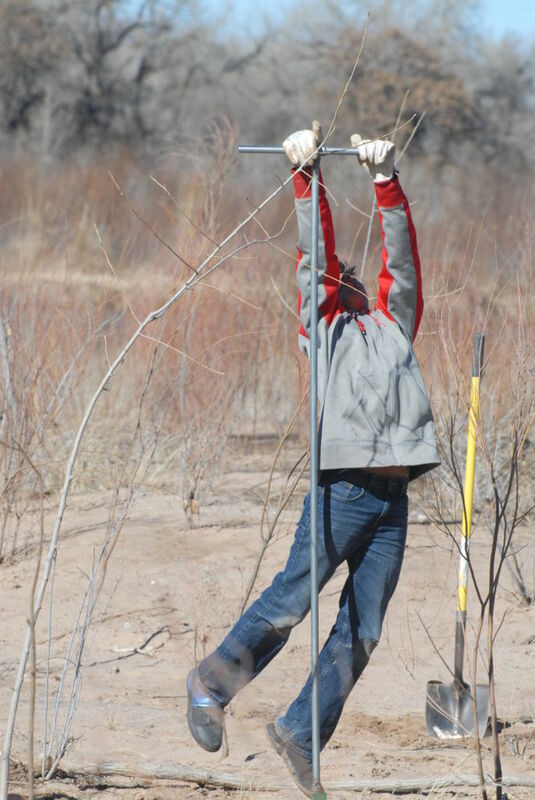 The Ciudad Soil and Water Conservation District (CSWCD), a political subdivision of the state of New Mexico, promotes the conservation, improvement and responsible use of the natural resources on the rural and urban lands within its boundaries.